Everton has revealed its new home kit for the 2015/16 season. The new strip, which has been designed by Umbro, is inspired by iconic Everton home shirts of the past and gives the shirt a unique visual for the season ahead which features a white V-neck collar with a rib insert. The reverse of the shirt carries an 'NSNO' insignia on the back neck area, a reference to the Club’s famous ‘Nil Satis Nisi Optimum’ motto. Shaped mesh underarm panels with contrast detailing and a lightweight textured Club crest offer the players and fans alike maximum fit, movement and comfort whether they’re on the pitch or cheering on the team from the stands. The white shorts feature a contrast navy blue band around the waist for an eye-catching look, together with a mesh back panel for comfort and movement. The new kit is available to pre-order from www.evertondirect.com and stores Everton One and Everton Two today, before going on sale on Saturday June 20 both in-store and online. 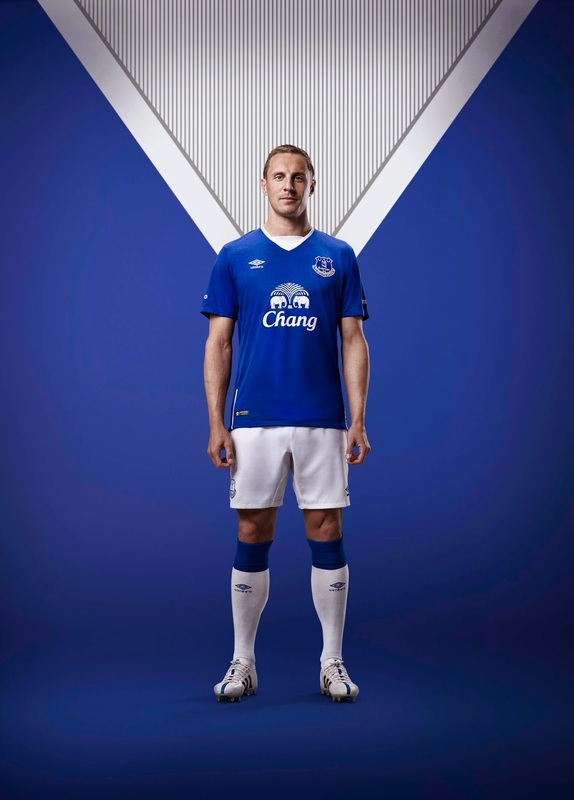 Speaking about the 2015/16 home kit, Club Captain Phil Jagielka commented: “It’s brilliant, the lads and I are really pleased with it and are excited about wearing the kit for the first time on Sunday against Spurs. “When the season finishes people start looking forward to next season and the new kit plays a massive part in that, so I’m sure the fans will, as usual, take great pride in wearing the new shirt and show their colours ahead of the new campaign. This year, the kit campaign is themed around #BORNefc – a nod to the ‘born not manufactured’ phrase - and fans were treated to a partial kit reveal yesterday when Umbro issued a shot of a group of babies modelling the new strip. The 2015/16 home kit will again be available in a range of baby sizes and also women’s sizes (8-18). This season, Everton and retail partner Kitbag are also pleased to announce the roll-out of a new Click and Collect service that offers a more convenient collection method for supporters who order merchandise online. As well as still being able to collect their purchases from either of the two Everton stores, supporters will now be able to pick up their parcels from any of the 5,000 Hermes Click and Collection partner sites throughout the UK. For more information about the Click and Collect service, visit www.evertondirect.com. 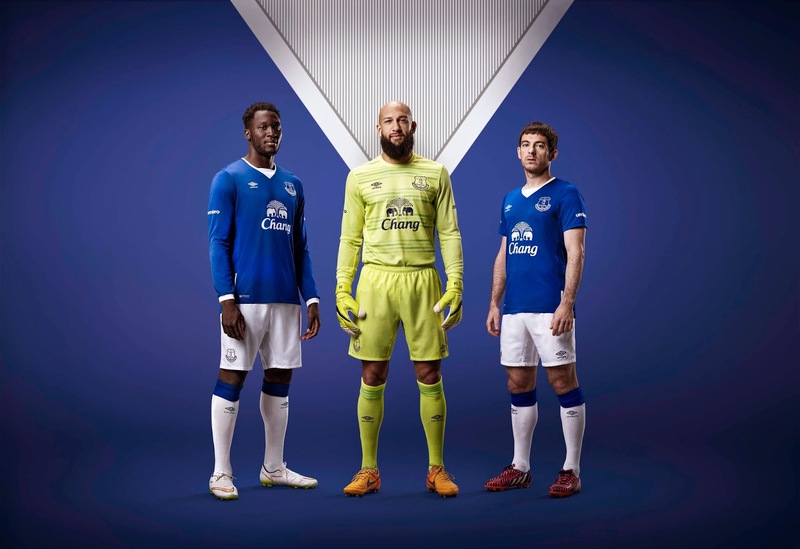 The new home kit will be worn for the first time by the players when the Toffees play Tottenham Hotspur in the final home game of the 2014/15 Premier League season at Goodison on Sunday May 24. To pre-order the 2015/16 Everton home kit today, visit www.evertondirect.com, Everton One or Everton Two.